The Tasmanian Health Service is seeking interest from suitably qualified applicants for a Clinical Nurse Consultant – McGrath Breast Care Nurse (524481) vacancy. Fixed term part-time day work, working 45.6 hours per fortnight commencing 13 May until 12 May 2022. 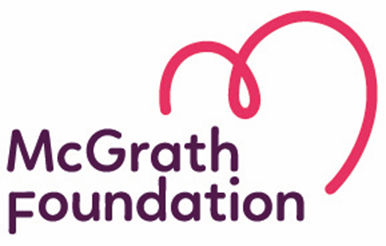 The focus of the Breast Care Nurse (BCN) position funded by the McGrath Foundation is to improve the quality and continuity of care and support provided to clients diagnosed with breast cancer across the continuum of care. The Breast Care Nurse provides a pivotal contact point for continuity of care for people diagnosed with breast cancer. The position supports and coordinates the patient’s care from diagnosis through surgery, the post-operative period, discharge from hospital back to the community, and as an integral part of the multi-disciplinary team throughout the patient’s treatment. A Breast Care Nurse is defined by the National Breast and Ovarian Cancer Centre as a “registered nurse who applies advanced knowledge of the health needs, preferences and circumstances of women with breast cancer to optimise the individual’s health and well-being at various phases across the continuum of care, including diagnosis, treatment, rehabilitation, follow-up and palliative care. This advanced knowledge is based on an in-depth understanding of theory and research relevant to the field of breast cancer nursing. Specifically, BCN practice incorporates advanced knowledge and skills in supportive care, including providing specialized and tailored information and education, psychological support, and clinical care1”. · Relevant post graduate qualifications or willingness to complete the post graduate certificate in breast care nursing or cancer nursing. Applicants should note that, for a period of six months from the date of publication, this selection process may be used to fill subsequent or similar full time and part time vacancies. Apply Online. Please click the blue "Apply Now" button on this screen. Applications will only be accepted online. This ensures important questions about you are answered. You will be prompted to complete an online application form, complete/upload your selection criteria responses and attach your resume. Please note that attachments must be in Microsoft Word or PDF format. Referee details are submitted as part of the online application so make sure you have the contact details for two referees before applying. Better health and quality of life around Tasmania. Job Description: The Tasmanian Health Service is seeking interest from suitably qualified applicants for a Clinical Nurse Consultant – McGrath Breast Care Nurse (524481) vacancy.